With this kit, proper care of your fabric convertible top is easy! It will save you money and add years to the life of your convertible top. 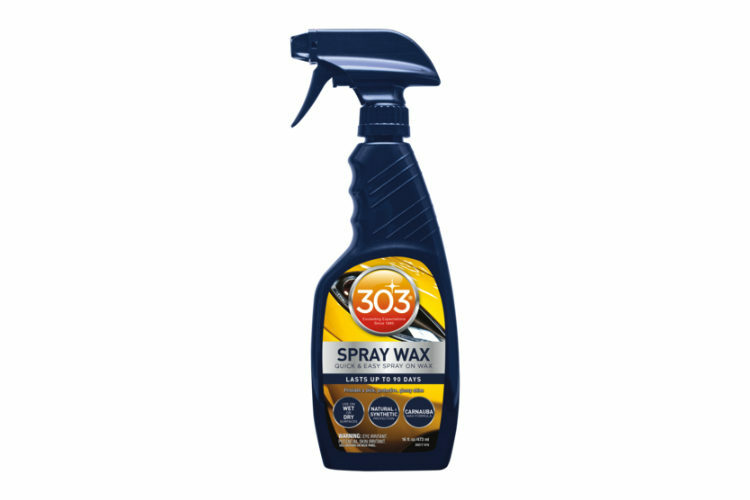 This kit contains both 303® Tonneau AND Convertible Top Cleaner, to help remove stains, dirt and debris, and 303® Fabric Guard to help restore water and stain repellency to the fabrics, to keep your convertible top looking newer, longer. 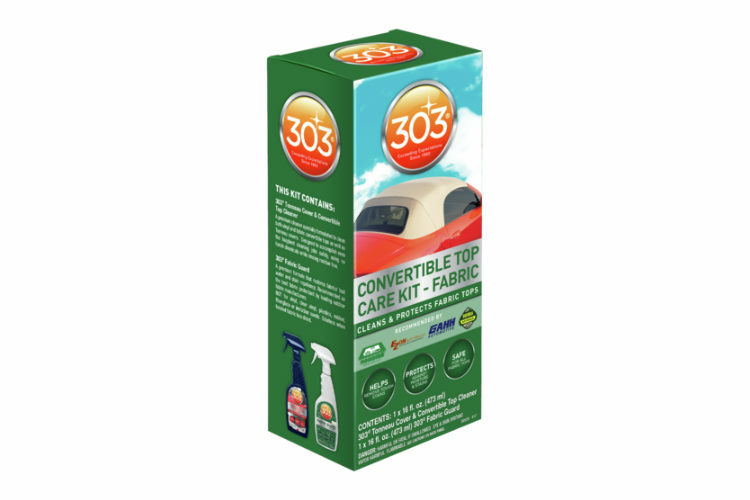 303® Fabric Convertible Top Care Kit is rated 5.0 out of 5 by 11. Rated 5 out of 5 by Abbienormal from Works as advertised I tried a different brand first on the convertible top on my 2005 Mini Cooper. I bought the car used and water just laid on the top. The first brand made no noticeable difference. When I tried the 303 based on online recommendations I was amazed at the difference. I have been using it for 5 years now and the I clean and recondition almost every car wash. Water beads up on the top and runs off. Love it and have recommended it many times. Just one warning. Get the over spray off the windows and paint immediately before it dries or you will be working to remove it. Nothing terrible but you can see it. Rated 5 out of 5 by ricktherider from Highly recommend the 303 treatment. Just cleaned and treated the fabric top with the 303 kit on my wife's 1972 VW Super Beetle convertible and I am very pleased with the results. I scrupulously followed the directions (the unseasonably warm weather here in Michigan permitted me to do the cleaning portion outside and our heated garage covered the fabric protection part). Water beads off it immediately and totally....too soon to comment on longevity of this effect but so far...so very good. Rated 5 out of 5 by mikec from Top Looks Great!! Cleaned and protected the fabric top on my 2001 Prowler. Top looks great after cleaning...time will tell how well it is protected. Product was easy to use (follow the directions!). 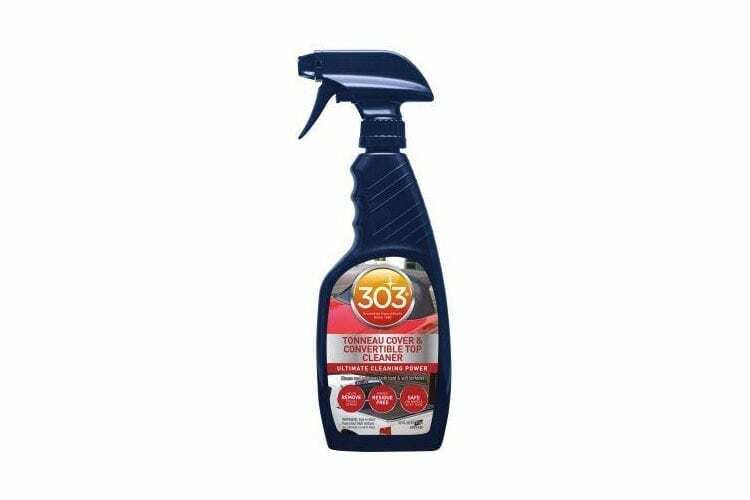 I was using another top cleaner...will now change to this 303 Fabric Convertible Top Cleaner and Protectant. I shared this product with a friend who also agrees that it worked well...thanks! Rated 5 out of 5 by Pflugerjeep from A Jeep Owner Necessity If you've got a soft top Jeep, you need these products. The cleaner helps get stains and bird droppings off and leaves the fabric clean and ready for the Fabric Guard protectant. The Fabric Guard makes the top bead water and helps keep dirt and contaminants from soaking in every time it rains. I even use them on my patio furniture that has Sunbrella fabric. Rated 5 out of 5 by 01fxdwg from Removed even the "fold seam" dark marks Used on 04 Thunderbird with tan/buckskin top which every year develops dark lines where the top folds despite use of thick car cover. After testing for color fastness (no problem by the way) I used the cleaner per directions with very soft bristle brush and those marks virtually disappeared. Other products never worked as well. Thanks Gold Eagle 303! Rated 5 out of 5 by Rickw from Super product! My wife has a 2012 Mercedes E350 Cabriolet, and the top just didn't look clean. The top is a mocha color. The fabric top cleaner was easy to apply, and did a wonderful job of brightening up the color and removing some old stains. It didn't get them all out, but the few left were caused by someone using a pressure washer on the top. I was even more excited with the fabric protector. It sprayed on easily, and I put 2 coats on the top. There was no problem with the product changing the color of the top. The overspray easily came off the glass and paint, but next time I will use plastic to cover the overspray area. No big deal. It rained today and the beading and sheeting off of the water was awesome. 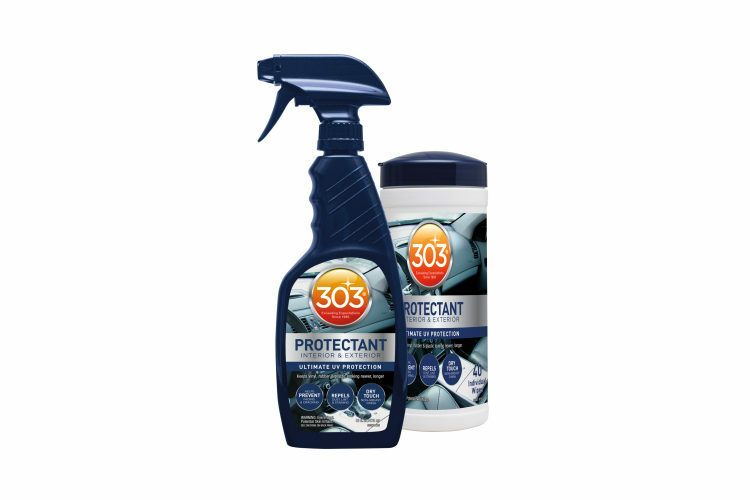 I can't thank 303 products enough for such wonderful products. This was a free sample that Melissa provided me with. Very nice to do that. The fabric cleaner and protectant lived up to its reputation of being tops in the industry. 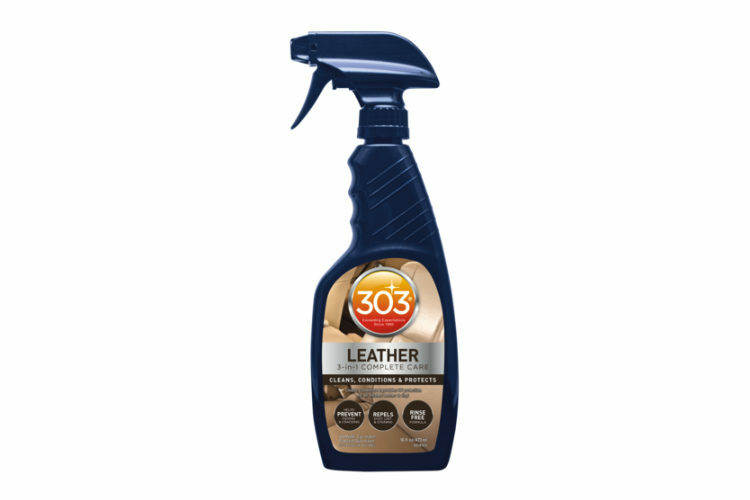 I look forward to using the 303 leather cleaner, and I am sure it will perform excellently. I am now a loyal customer and highly recommend it.